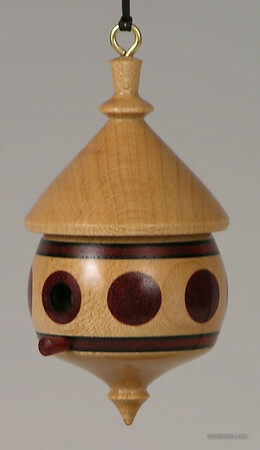 Decorative arts and functional items from the wood lathe, by award-winning Don Leman. Made of a variety of woods. View specifications of the many available for purchase at Etsy. Assorted decorative Christmas ornaments. Watch for these to become available for purchase at Etsy.